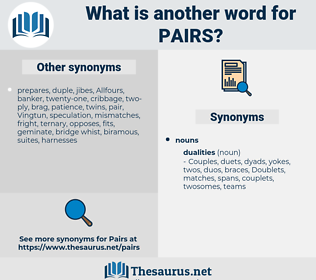 What is another word for pairs? paris, APRM, conclusions, equals, CIHR, value, outcomes, findings, results. 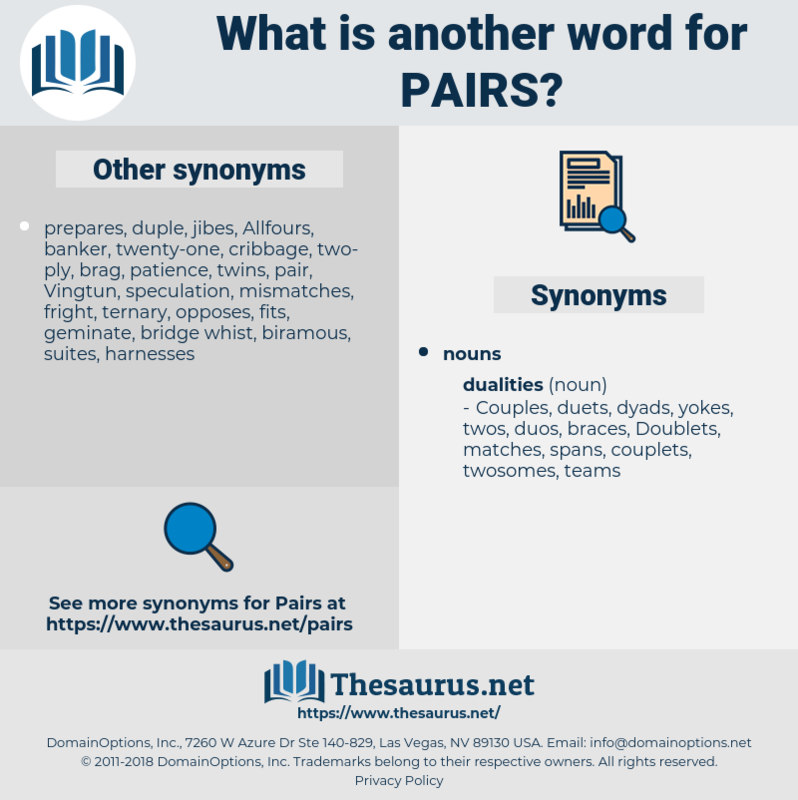 partner, partners, relationships, parts, combinations, serials, counterparts, Parents, Marriages, duplicate, groupings, contestants, connections, pieces, instances, panels, ordinances, colleagues, sequences, reviewers, associates, regarding, linkages, groups, Families, double, per, paras, clusters, series, disciplines, doubles, frames, article, articles, Spouses, dyads, Husbands, Towards, ranges, dating, datasets, Torques, flights, routes, matches, suites, types, shifts, CREWS, Ones, bonds, cases, Wives, waves, links, units, rounds, unions, runs, dos, Cas. This species usually arrives in pairs. Pigeons mate in pairs and remain constant to each other for life, as a rule.